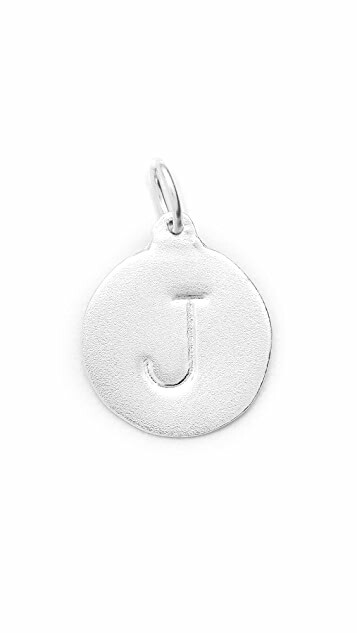 This sterling silver charm features a stamped letter J. 1/2" wide. Bought 2 of these charms recently. 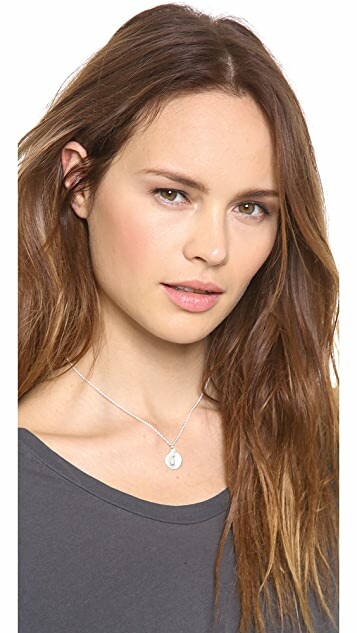 The picture makes it seem slightly bigger. In reality the charm is very delicate looking and a tad smaller than what I hoped for. It is very cute though. This was my third Ficalora charm - I also have one of their necklaces that I wear all three on at the same time.